Yeah, I do get that vibe from Amanita, it definitely has a feeling of seriousness to it. Did anyone in here ever had an Amanita experience like I did? I wrote a report wtih 3 experiences, the third one being the massive one that knocked me out of life. You can read it here. I think Alder reached the point of death once from a sidenote he made in that thread..quote: "When I did my overdose on freshly picked A. m., after surviving that terrible sick in something like real time, it seemed I lived lifetimes over the next few hours." Anyone else? Would love to hear more.. I have no more reasons to go as far as I did there...But heck I'm a natural born psychonaut so I guess I will do it anyway...but not in the near future. I am currently conducting a study on the therapeutic use of the Fly Agaric (Amanita muscaria) mushroom and am searching for potential participants who have prior experience using this mushroom for therapeutic purposes. 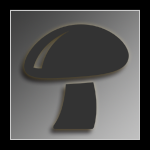 I am conducting short online surveys to gather information about the growing interest in the use of this mushroom as a “medicinal” mushroom with the aim of better understanding this trend and to determine whether there is sufficient evidence to support any of its reported therapeutic applications.